A long day of poker has come to an end in the Bollington Hotel in Dublin and Day 2 of the 2018 Unibet Open Dublin €1,100 Main Event is in the books. After 11 levels of one hour each, not only the bubble burst but the field of 359 entries has been whittled down all the way to the final 11 hopefuls. A new champion will be crowned at the end of the 11th season and the eventual winner can look forward to a payday of €74,900. Best-positioned to claim the trophy is Michael Brock from the UK, who jumped into the top spot in the final level of the night and claimed 1,480,000 to his name. Fellow countryman Joseph Ellis sits in second place with 1,230,000 and four Irishmen remain to try and keep the trophy on home soil, including Robbie McCormack (1,145,000), Keith Brennan (1,125,000), Irish legend Mick McCloskey (955,000) and 2014 Irish Open champion Patrick Clarke (575,000). 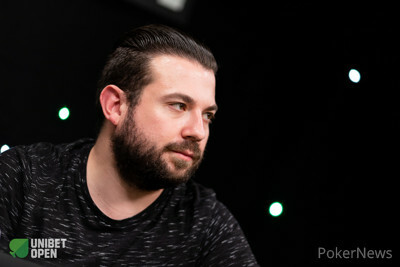 The other finalists include the two Frenchmen David Schable (1,110,000) and Julien Kron (810,000), €2,200 High Roller third-place finisher Paul Jux Holderness (1,080,000), Pot-Limit Omaha specialist Henri Koivisto (1,050,000), and Jakub Groblewski (315,000). Andy Black narrowly missed out on the final day and bowed out in 14th place, three-time WSOP bracelet winner Benny Glaser busted just prior to the three table redraw. Out of a field of 359 entries, only 123 players had bagged up chips and returned to the action. Within the first two levels, the field was already cut down considerably as nearly 40 hopes had been crushed and many more were to follow. Lisa "STPeach" Vannatta, Dan Murariu, Rauno Tahvonen, Martin Soukup and Andrey "renyad" Yanyuk were just a few of those that vanished in the early rush. 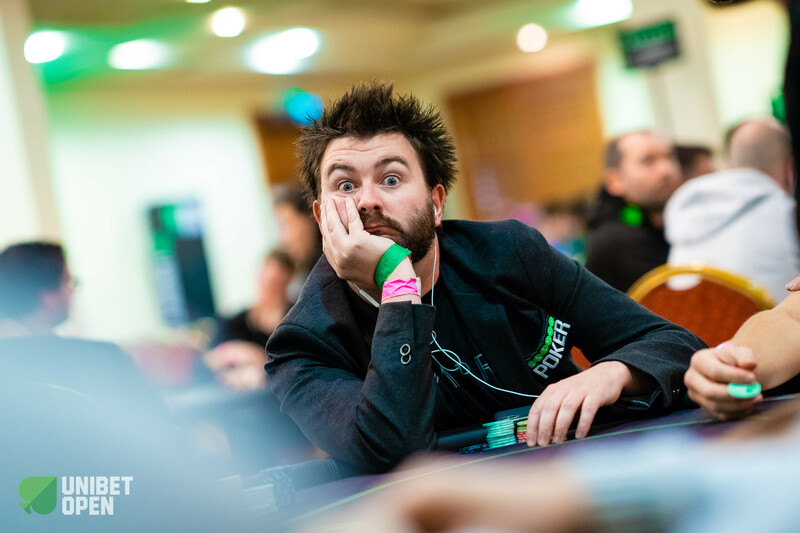 Unibet Poker ambassador Ian Simpson started the day fourth in chips, but the 2013 Irish Open champion bowed out before the money after a rather disappointing day at the poker tables. Jack Sinclair, fresh off winning the 2018 WSOP Europe Main Event, also failed to add another Irish flag to his poker resume and Alan "hotted89" Widmann busted a few spots off the money when his flushdraw could not beat pocket aces. The money bubble itself was a very short affair, as three players departed within two minutes and no hand-for-hand play went into effect. Kasper Mellanen, Barry McMahon and Raiko Vannas had to leave without anything to show for. 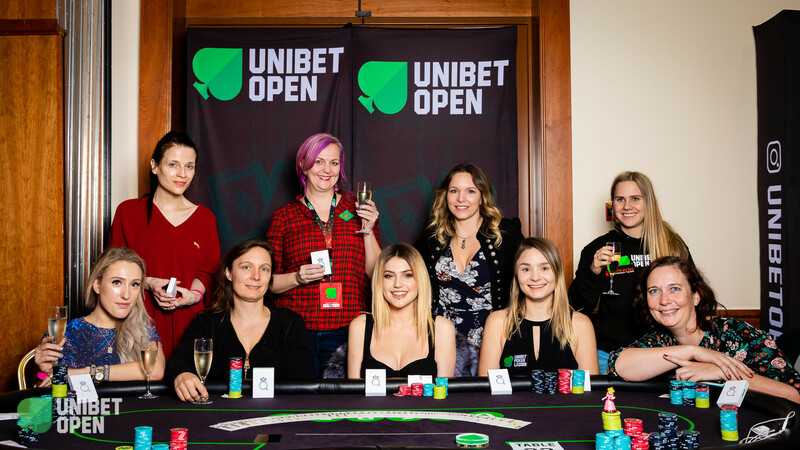 Unibet Poker ambassador Dara O’Kearney was the first player to bust in the money, ending up second-best with ace-ten versus ace-queen suited and Quentin Lecomte failed with a bluff attempt against Mick McCloskey. Well-known local players such as John Keown, Richard O’Neill and Chris Dowling also bowed out well before the final three tables were set and the last Unibet ambassador, David Lappin, had to settle for 27th place on home soil. Benny Glaser made it two spots further and his roller coaster ride ended in 25th place. The pace of all in showdowns didn’t slow down just yet and soon after the final two tables were set. Andy Black destroyed his stack in a big pot on the feature table when his move with pocket fives on an ace-high turn backfired and Joseph Ellis skyrocketed into the lead when calling the jam with ace-king. Black doubled and knocked out Peter Cahill after before running with ace-queen into the pocket aces of none other than Ellis. In the final level of the night, the final table could not be reached anymore and the remaining 11 players bagged up for the night. They will return on Sunday, November 25th, 2018, as of 12 p.m. local time to play down to a champion. The blinds will recommence at 15,000/30,000 with an ante of 5,000 and the action on the live stream table will be available on a 30-minute delay on the Unibet Open Twitch stream channel. 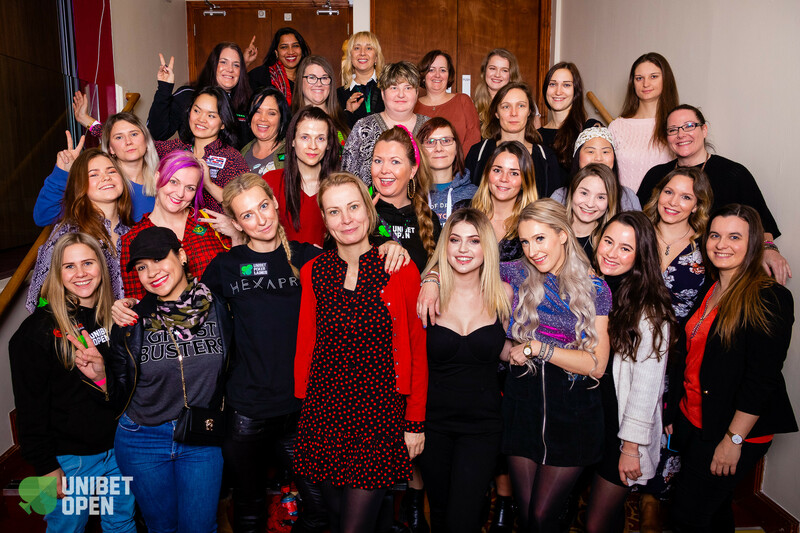 The popular Queen Rules Ladies Event, hosted by Unibet Poker ambassador Daiva Byrne, was once again a full success. Featuring a buy-in of €80+10, levels of 30 minutes each and a starting stack of 15,000, the event expected even Byrne’s expectations and drew 46 entries to create a prize pool of €3,680. Only the top seven spots were paid and Sophia “Djarii” White was unfortunate enough to become the bubble girl. Seven different countries were represented on the nine-handed final table and among those to cash were Monica Vaka, Aurelie Reard, Louis Mulholland and Dehlia de Jong. What followed was a very fierce battle for the trophy and bragging rights between Magali Staal and Emelie Svenningsson that lasted nearly three hours. Eventually, it was Svenningsson that claimed the trophy and first-place prize of €1,250 at almost 2 a.m. local time. Svenningsson started playing poker one year ago and became part of the Unibet online community at that time. She played her third Unibet Open and qualified online and won her package through the step satellite system after investing just €4.